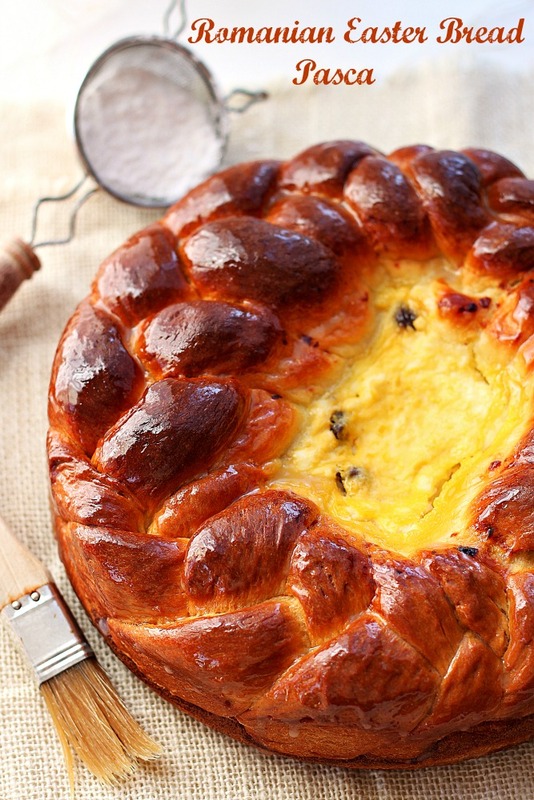 Every year, as Easter approaches my mind start thinking about different Eater bread recipes. 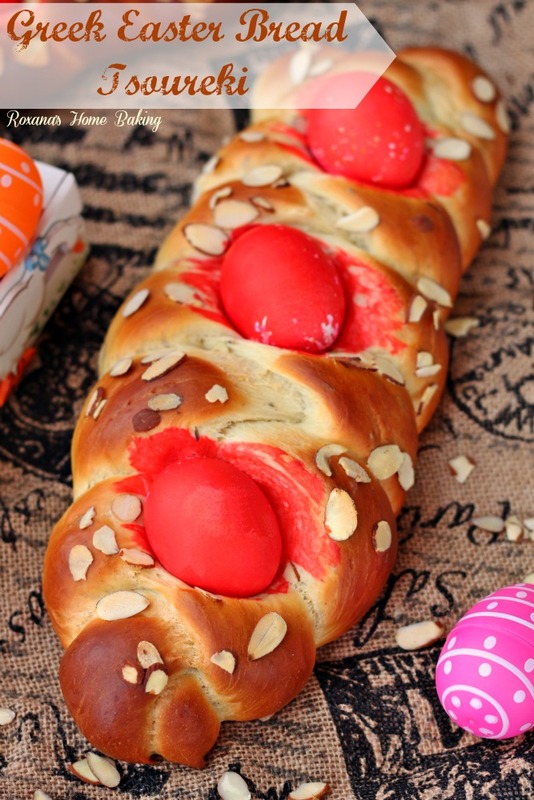 Last year I’ve shared with you a recipe for Romanian Easter bread (Pasca) , Italian Easter bread (Pane di Pasqua) and Greek Eater bread (Tsoureki). Well, today we’re visiting the Great Britain to enjoy a cup of tea with their well know Easter bread – Hot Cross Buns. 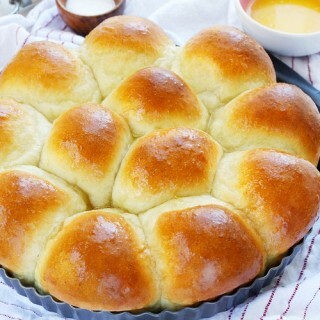 If you have never made a hot cross buns, prepare yourself to have your kitchen filled with an irresistible aroma of fresh-baked bread, spices and sweetness. Cinnamon, nutmeg, cloves, cardamom added to the dough give these buns a nice spicy touch, while the sugar and the dried fruit bring sweetness. I’ve read a few stories where the name actually comes from and it seems the most popular story is related to the Anglo-Saxons. 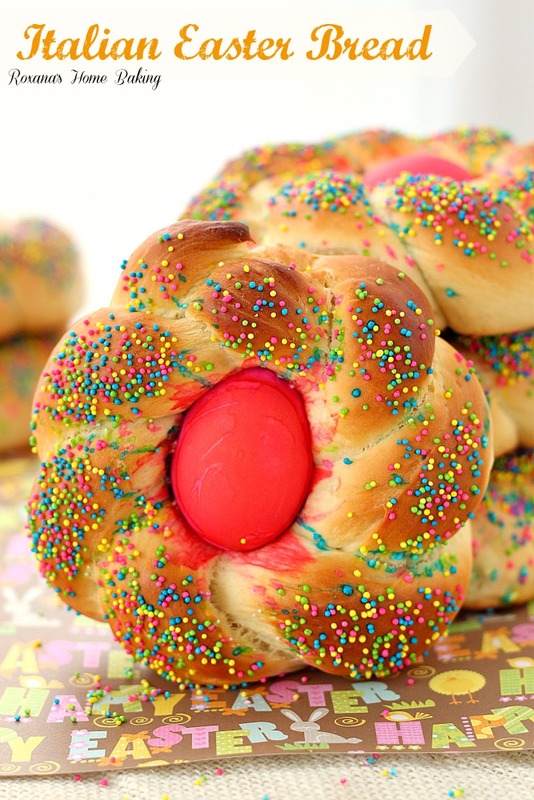 The story says they were making the buns in honor of their goddess of light, Eostre, whose day was celebrating in Spring. Other stories include a few superstitions. Hot cross buns baked and served on Good Friday do not spoil or mold during the year. Keeping a bun in your kitchen until next year to ensure all breads will rise and bake perfectly. Other stories advice to keep a bun for medical purposes. Some say, if a piece of the bun is gives to a sick person, they will immediately recover. There are so many stories, I have no idea which one is actually the real one, but it’s sure is fun reading about them. What’s better than reading, is actually making hot cross buns and enjoying them with a cup of tea. 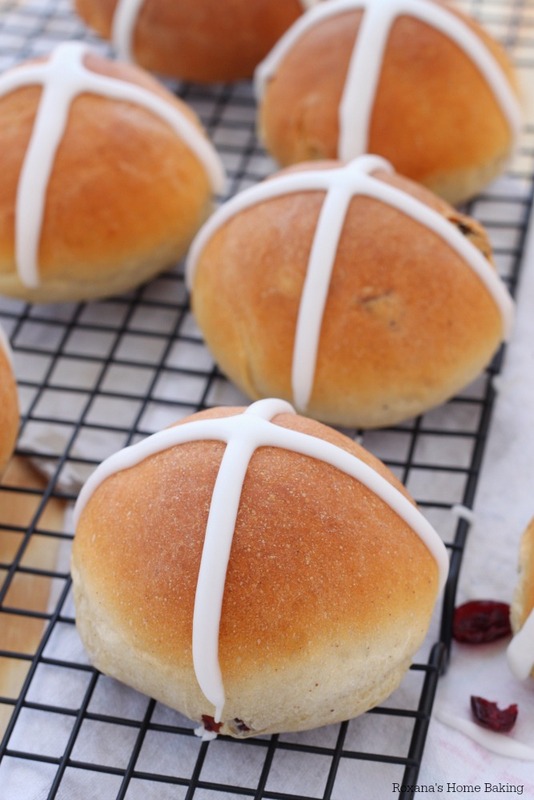 Some recipes for hot cross buns suggest marking the cross before baking and filling it with a paste made from flour, water and shortening. 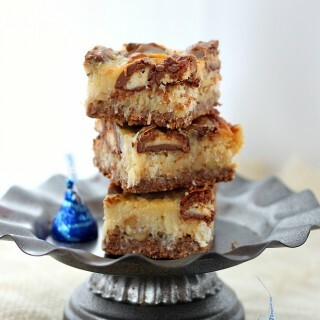 Other recipes have the cross marked but filled right after they are baked with a sweet sugary filling. I prefer mine to be marked after they are baked and cooled. You have to keep in mind when making the cross that the buns must be completely cooled. No warmth or the icing will melt. Optional, if you prefer a darker color for your buns, you can brush them with egg wash (egg yolk mixed with few drops of water) before baking or if you prefer a sweet and shiny top, you can brush the buns with a sugar syrup as soon as you take them out of the oven. My preference is to leave the buns plain. I do not brush them either with egg wash or sugar. The sugar added to the dough brings enough sweetness to the dough to give them a nice brownish color once baked. In a mixing bowl, add the flour and spices. Make a well in the middle and pour in the 1/4 cup lukewarm milk. Sprinkle the dry yeast on top of the milk and let it rest at room temperature for about 5 minutes until the yeast is dissolved and bubbles appear at the surface. In a small saucepan, add the remaining 1 cup of milk along with the butter, salt and sugar. Cook over low heat, just until the butter has melted. Do not boil!!! Once the yeast has dissolved, attach the dough hook to the mixer and turn it on at the lowest speed. Slowly pour the warm milk. With the mixer on low speed, keep kneading the dough until all the flour is incorporated. Increase the mixer's speed to medium-low and let it knead the dough for 5 more minutes. With buttered hands, remove the dough from the mixer and gently fold in the raisins and cranberries. Shape the dough in a ball and place it in a greased bowl. Cover with plastic wrap and let sit at room temperature for about 1 hour to 1 hour and 30 minutes or until doubled in volume. Once the dough has risen, divide it into 12 pieces. Shape each piece into a ball and place it on a baking sheet. Cover again with plastic wrap and let rest for 30 more minutes. 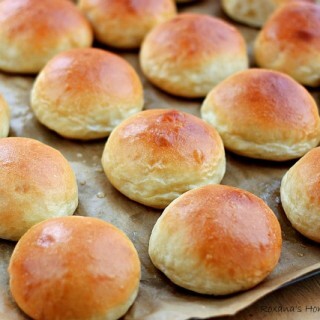 Bake the buns in preheated oven for 22-25 minutes or until golden brown. Remove the buns from the oven and let cool completely on a wire rack. To make the icing, combine the powdered sugar with a few drops of water, enough to form a thick paste. Spoon the icing in a ziploc bag, cut a small corner and mark the cross on top of the cooled buns. 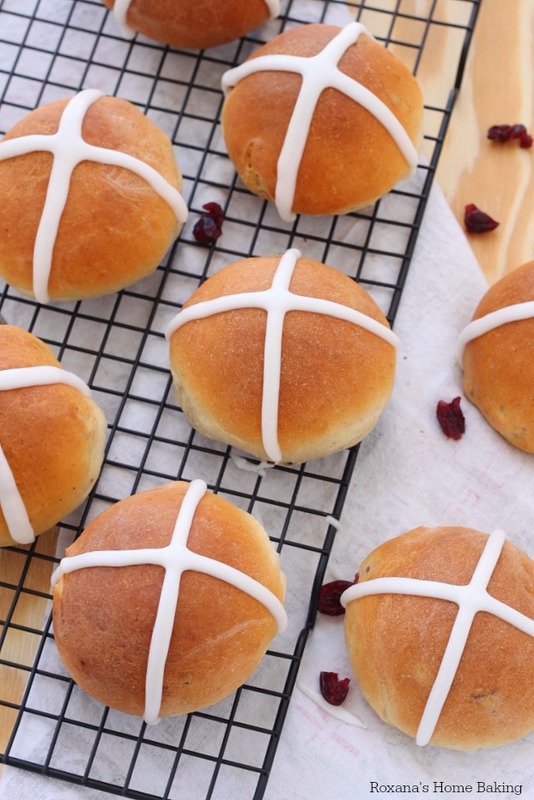 Gorgeous hot cross buns, Roxy! I love all of your Easter breads. 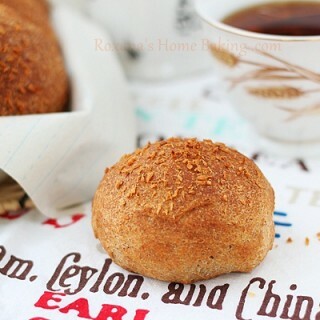 Thanks for sharing some history and background on these buns as well as the tips. Pinning (of course)! Haven't made any of these yet this year. 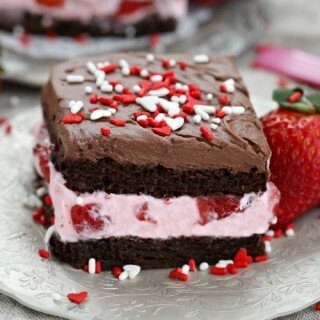 Oh yummy! They look perfect. 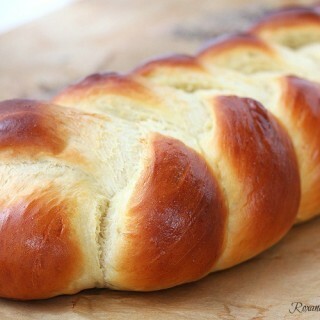 I love seeing all of the different country/ethnic breads for Easter. I am a fan of hot cross buns. These look beautiful! 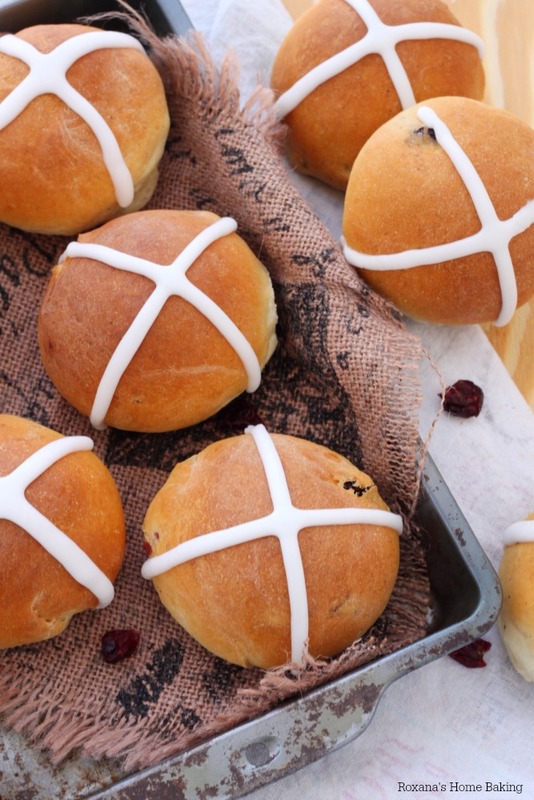 These hot cross buns look so yummy :) I would love for you to share this on my Friday T.G.I.F. linky party :) Have a great weekend!! 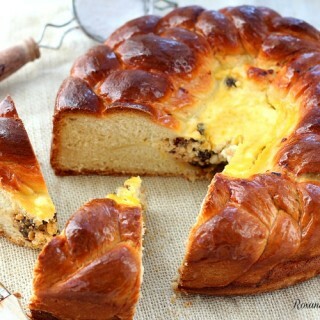 I need to make hot cross buns ASAP! 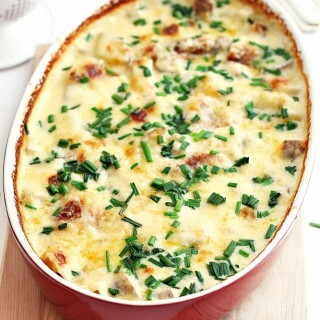 I love your recipe-so perfect. I've never made hot cross buns before and that needs to change. 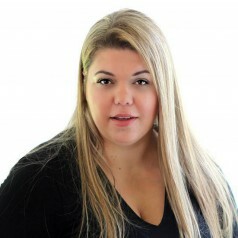 These look incredible, Roxana!